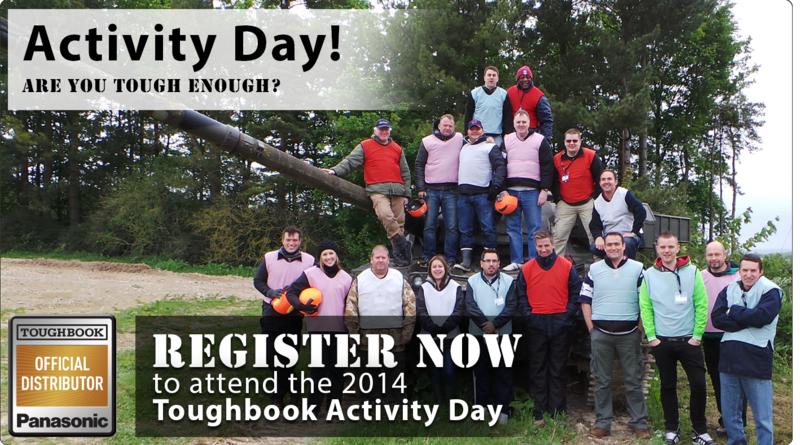 Centerprise and Panasonic have teamed up to offer Toughbook and Toughpad resellers the opportunity to join us for a fun-filled Activity Day! Taking place on Friday 26th September in Bristol, the activities include: Military Off Road Driving, Air Rifle Shooting, Blind 4x4 Driving, Bomb Disposal and Tank Driving. Breakfast and a BBQ lunch are included at the event, as well as wine tasting from the local farm after the activities. Following the action-packed day we will all head to DoubleTree by Hilton, Cadbury House, a four-star hotel set in rolling English countryside, where you’ll be treated to a three course meal and drinks, offering a great opportunity for further networking right across the channel. Breakfast will be included at the hotel the morning after and the excellent spa facilities will be available to you throughout your stay at the hotel.